The calls, believed to be from the ARA San Juan submarine, lasted between four and 36 seconds in the late morning and early afternoon, the ministry said in an emailed statement. The ministry said it was working on tracing the location with an unnamed U.S. company specialized in satellite communications. 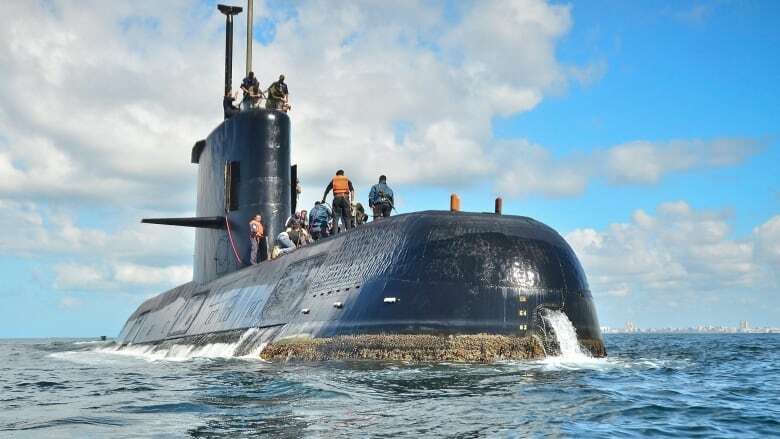 The ARA San Juan was in the southern Argentine sea 432 kilometres from the Patagonian coast when it sent its last signal on Wednesday, naval spokesperson Enrique Balbi said. "Detection has been difficult despite the quantity of boats and aircraft" involved in the search, Balbi said, noting that strong winds and high waves were complicating efforts. "Obviously, the number of hours that have passed — two days in which there has been no communication — is of note."